These ways can help grab the short attention span of social media users. Interest in infographics has risen 3,000% during the last five years, according to Google Trends. That’s because infographics—and images in general—can cut through all the content that overwhelms the public today. Photos of real people move audiences. That’s why Harley Davidson often posts images of customers riding, relaxing on and tinkering with their bikes. These photos are usually submitted by customers. #POTD and #PhotoOfTheDay are two popular hashtags to consider. 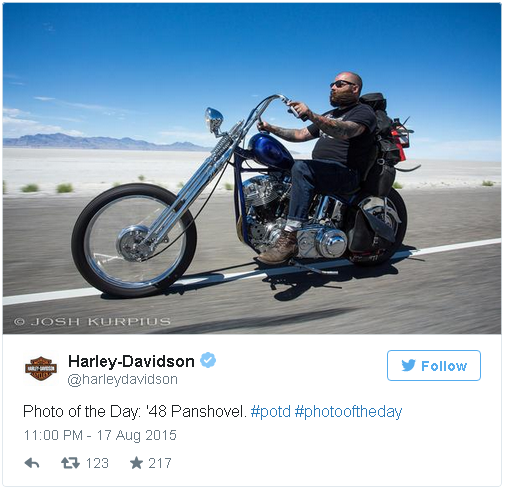 Both were used in the Harley tweet captured here. It’s not necessary to avoid acronyms and jargon on social media to the degree you do in PR and press release writing. 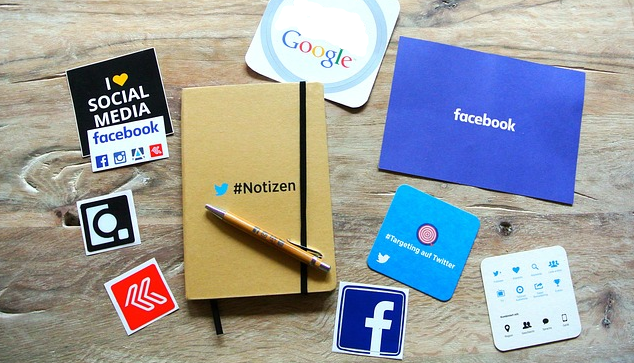 “Instead, speak the secret language or lingo of your online community of users,” says Zeni. 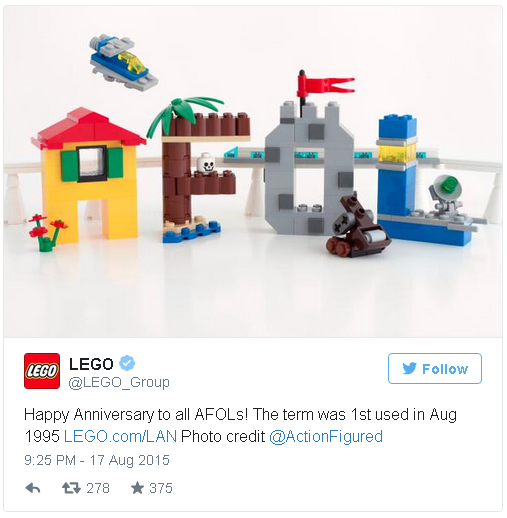 Lego uses these and other acronyms in every image caption, Tweet or post. 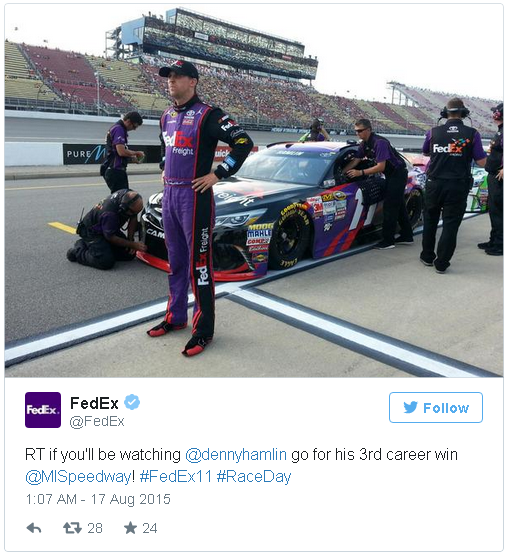 Federal Express images show an astonishing variety of subjects—signage, drivers, planes, packages, the FedEx-sponsored race team and even the sky. What unites them all is FedEx’s signature color purple. “It’s a canny and insightful choice as it communicates in a vibrant, dynamic and regal way that contrasts sharply with the brown of its leading competitor,” says Zeni. Though brown is meant to convey dependability and durability, FedEx was built on speed and flair—and purple certainly communicates that. His advice: “Be consistent with your color palette. Use it in your logos, signage and every single image you post to social media.